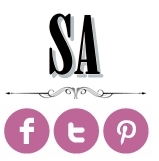 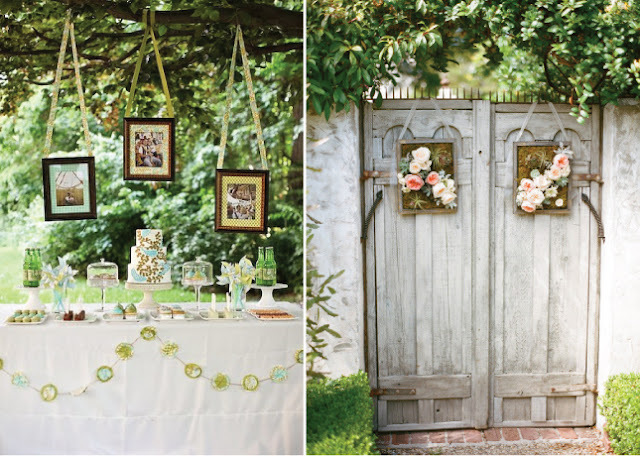 Frames: Picture frames look so pretty and add a sentimental value. 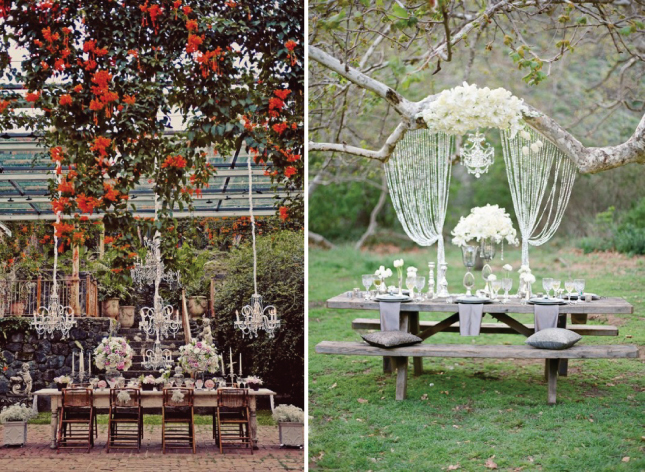 But these frames with flowers are simply BEAUTIFUL. 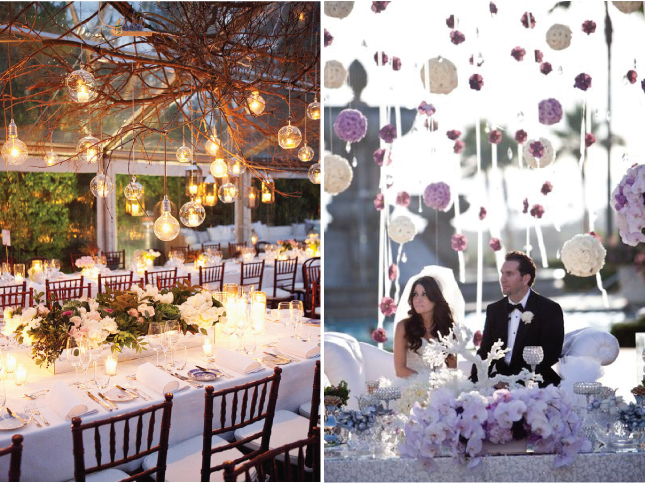 Chandeliers: These chandeliers not only add a fantastic fairytale feel, but often contribute to the lighting mood of the event! 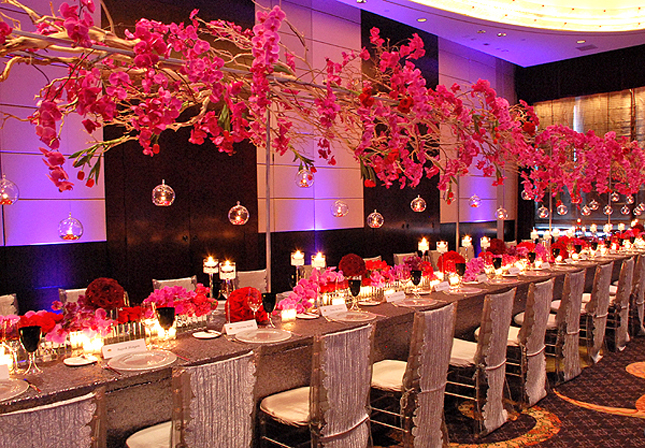 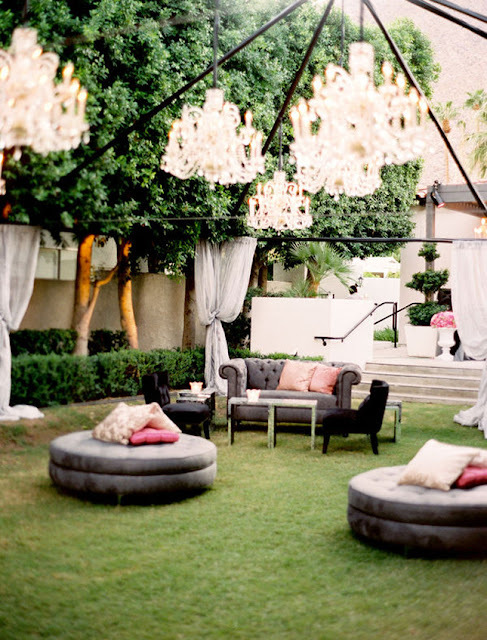 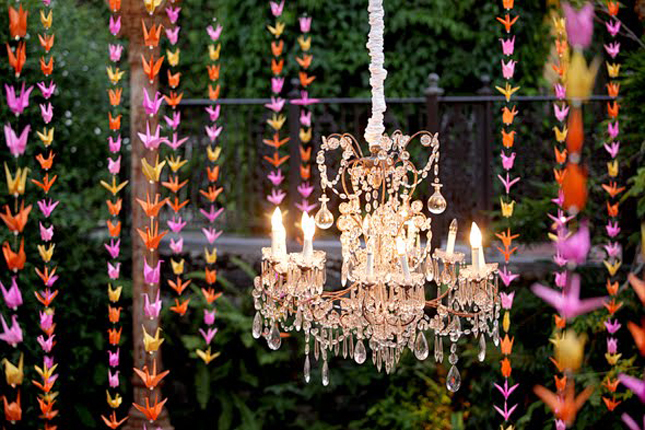 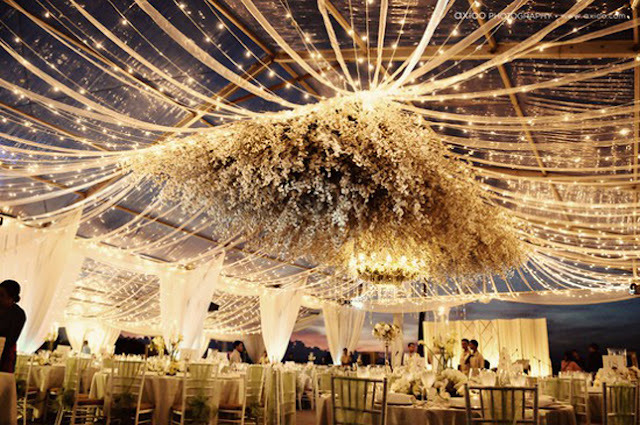 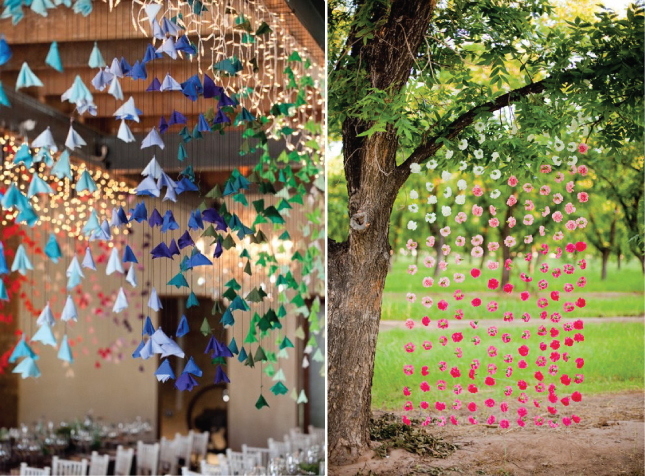 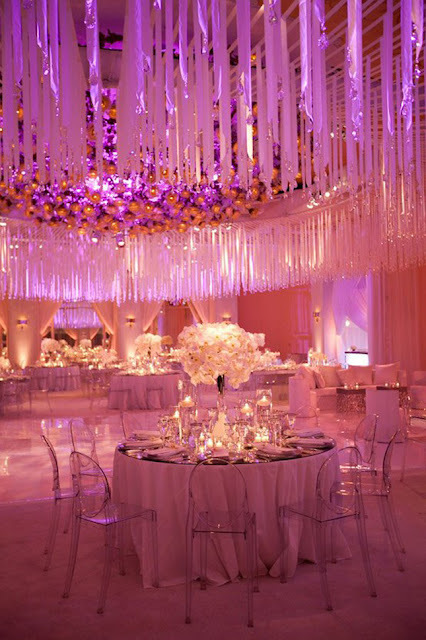 Here are some more images to encourage you to get chandeliers at your wedding. 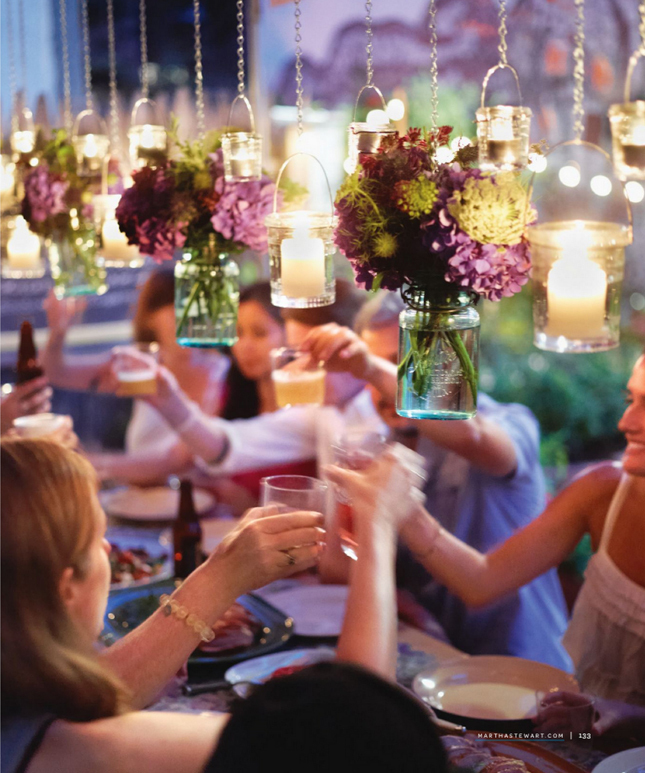 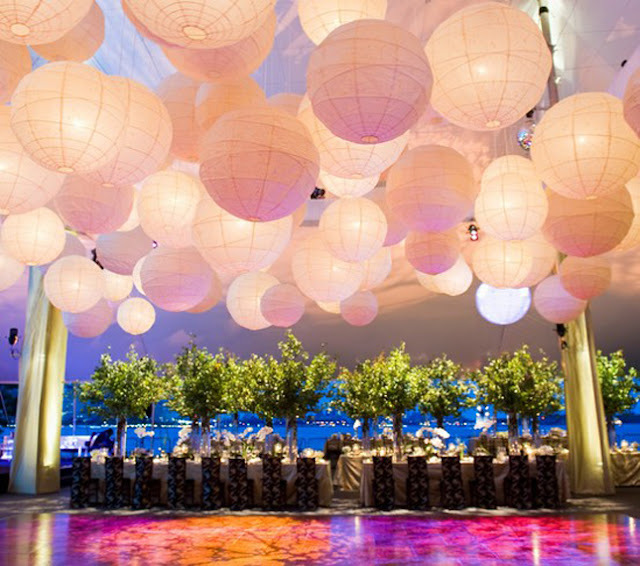 Paper lanterns: They are by far the most popular hanging decor option out there, not only because they are pretty and easy to set up, but also because they can be used to supply additional light. 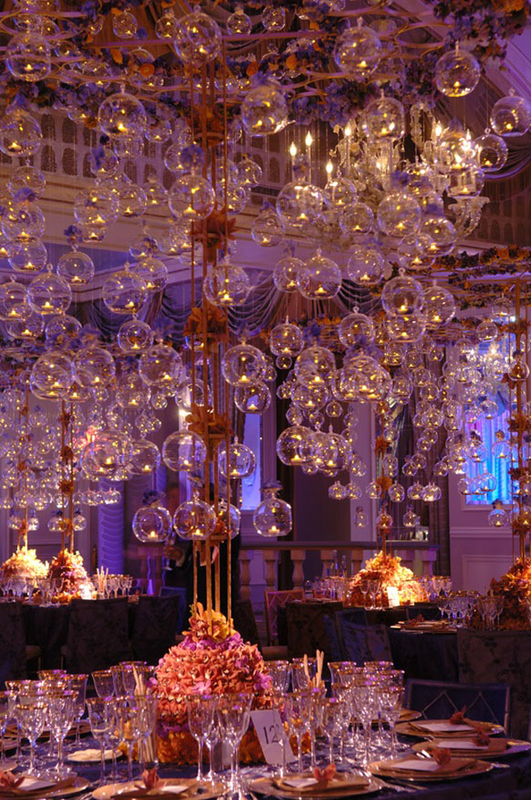 Glass Spheres: These pretty bubbles are so popular right now. 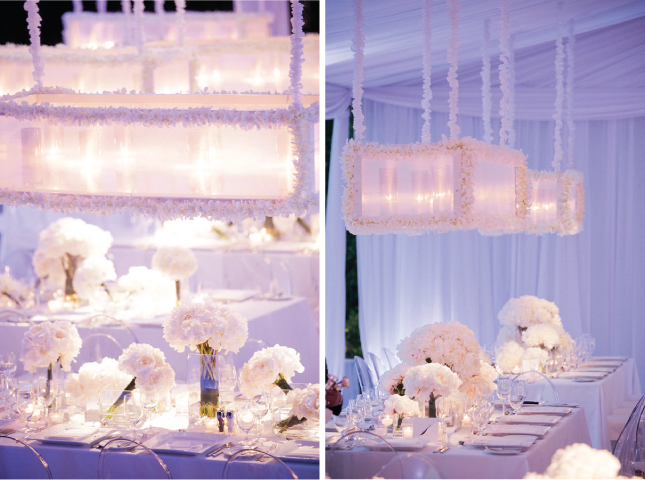 You can fill them with flowers for a day-wedding and with candles at night. 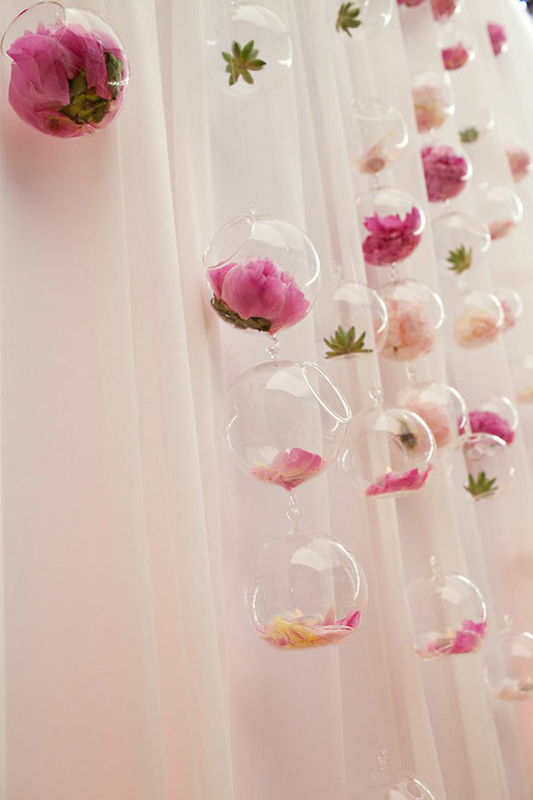 Curtains: Use flowers, ribbons, paper, etc. 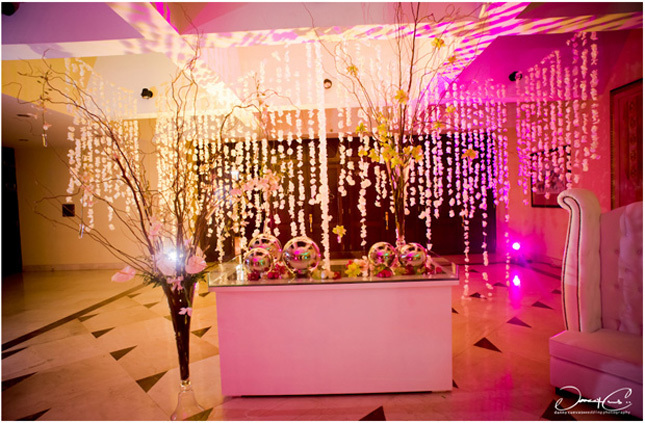 Lighting Boxes: Thes boxes filled with candles and decorated with flowers are also another decor option you can consider.